Let’s face it, sometimes you just need more space! It may be time to rent a small business storage space. Productivity, morale, and profitability can all suffer in the presence of too much chaos. It is important to know the difference between “being penny wise and pound foolish.” Perhaps things have gone too far! Being a good steward of your company’s resources means looking at the BIG picture. Smart and savvy business owners know when it is time to leverage the benefits an off-site storage company can offer. We wonder if you recognize anyone you know in the following list. Moving May Not Be an Option – When you are locked into a small business lease and need that extra storage space until you are able to move to a larger facility… It’s time to rent commercial business storage space! Budget Constraints – When you need to downsize for a year or two and want to store that expensive conference table and extra furniture… It’s time to rent small business storage space! 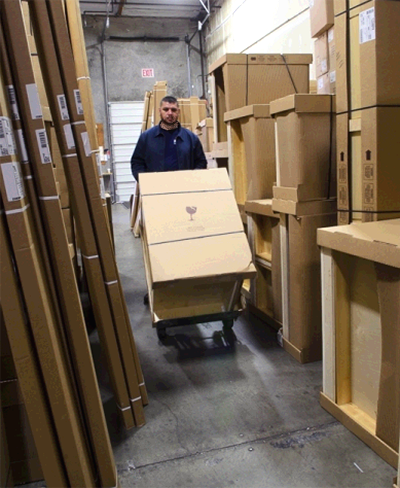 Excess or Bulky Inventory – When construction companies, kitchen cabinet or furniture makers, have an overrun in inventory or large items that consume square footage… It’s time to rent small business storage space! Seasonal Inventory – When, as a retail store, caterer, you require storage for transitional, seasonal, overstock and over-sized inventory… It’s time to rent small business storage space! Showroom Services & Sample Storage – When interior designers, real estate agents, home stagers and furniture manufacturers need extra space to warehouse their samples… It’s time to rent small business storage space! Business Growth – When your business has a sudden growth spurt, you’ve moved in more furniture and additional team members, and your office space is busting at the seams… It’s time to rent small business storage space! 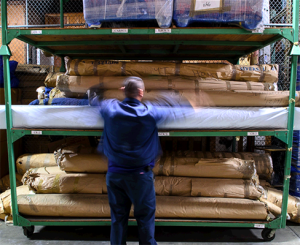 Warehouse Overflow & Delivery Resources – When you are ready to take on additional inventory, and need the warehouse space, trucks and trusted personnel to store and transport it to the customer or job site (B2B & residential delivery)… It’s time to rent small business storage space! Document Storage – When your filing cabinets have given way to boxes stacked all over the office floor, it’s too soon to shred and you have no more room to archive your paper files… It’s time to rent small business storage space! Starting a Business – When you have a “start-up” that’s outgrown your garage and moved into a tiny office in Silicon Valley, San Francisco, or some other pricey area in the country, and you need a way to grow that won’t break the bank… It’s time to rent small business storage space! Your Garage is Full – When you have an office and yet STILL manage to fill your garage and home storage shed with all sorts of extraneous business-related things… It’s time to rent small business storage space! 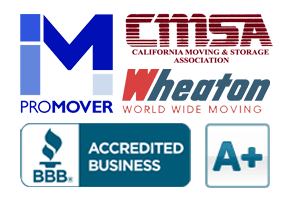 When looking to rent a small storage facility for your business, remember, all storage companies are NOT created equal. Make sure you compare apples to apples as you weigh the benefits of each company you consider. There are several key things to take into account. Take a look at this handy list and make sure to inquire about the items that are important to you. Photo Credit – A special thank you to Lee Abel for her wonderful photos of Cummings Moving Company in action.